There is a sense of oldness in natural places. The earth before you will have evidence of being freshly trodden- the many-grooved footprints of birdwatchers in their field shoes, tracks of Nilgai, three-cleaved marks left by hopping birds. The marks may be new, the smell of fresh animal droppings stinging the air. An ancient Bada Peelu in the Qutub complex, Delhi. If you’re standing under trees in Aravalli’s Mangar forest, the leaves dapple the sunlight, leaving chequered shadows on the ground and on your face. The colour of the light, and so your immediate world, may become a greenish yellow, sieved through the leaves; on the ground, shadows shift as the leaves move, creating a kaleidoscopic effect. If there are Nilgai nearby, say in the Delhi Ridge, you may be standing on a path made by them. If you are in a wetland – like Basai or Najafgarh, the levels of the water are different in different seasons, and the land around the water shifts accordingly. You could be a completely bone-dry spot that becomes aquatic at other times. Water shapes the place, migratory birds mould its character. The oldest things on earth — birds that are actually living dinosaurs, water that whips terra firma — create the place. When Delhi talks about being an “old” city, we mostly refer to fifteenth-century monuments and tombs, the sun warming their stone on winter afternoons. We think of Old Delhi’s ancient bazaars – still selling spices and silver, flanked by solid wrought iron pillars which have seen the times of kings. We think of the feeling of Delhi, an old capital, a centre of power, the sense of government flags, corridor whispers, red beacons, which are hints in the air — power was and is here. But very few think of Delhi as an old city through its natural spaces. Maybe that’s why Delhi-NCR’s spectacular natural spaces are under threat. We are at a remarkable moment in the story of the city – citizens are fighting, under duress, to preserve Delhi’s history, for its future. Of the many struggles going on in the city — to preserve avenue trees, to save the trees at the iconic Pragati Maidan from getting axed for redevelopment, and to conserve lakes, three stand out in scale. One is the pitched battle to save parts of the world’s oldest mountain range, the Aravallis. It may not be enough to say that these hills and ridges are ancient geological heritage; it may not even be enough to say the Aravallis act as a safety net for Delhi, protecting it from complete desertification from the Thar. Clearly, these arguments are not enough for developers and a determined state government bent towards hacking away Aravalli’s trees, levelling the ridges, and to sell green-view apartments, which certainly won’t have a “green” view for long. A concerned citizen has moved the National Green Tribunal against the cutting of more than 6,000 trees in the Aravallis in Faridabad. While the Haryana forest department says all of the Aravallis are deemed forest, trees were cut all the same. Not only does this fly in the face of environmental concerns, it is a denial of the fact that the Aravallis too — and not just apartments — are part of cultural and lived heritage for Delhi, Faridabad and Gurgaon. Delhi’s Paharganj, derived from “Pahar” or hill, is named such as it was a hilly area, and today the Delhi Ridge (named as the area undulates with Aravalli hills, ridges and streams) is a forest that gives lungs to the gasping city. Another chapter of forgotten history, lost through tomes of city master plans, is Delhi and Haryana’s Sahibi river. “Cartographic assassination” is what rivers and wetlands face, as they get described in public record and maps, says urban ecology and planning expert Manu Bhatnagar. What was once Sahibi river has today become Najafgarh naala. 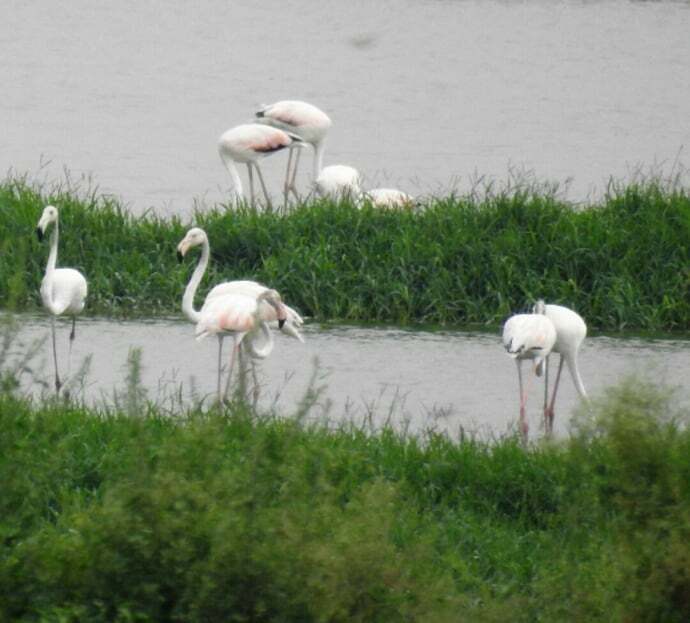 In this naala too, Delhi and Haryana show reluctance to recognise the old Najafgarh jheel, which hosts flamingos, and migratory birds from Tibet and other high altitude regions. 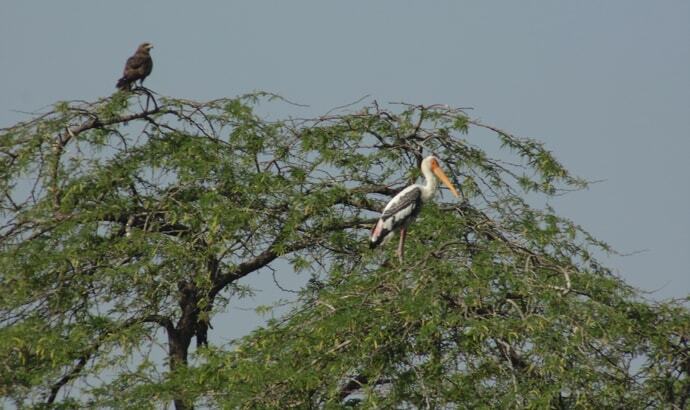 The area also has what is considered one of the biggest heronries in North India – more than 200 birds have created communal nests in a clump of trees. Heronries are classic features next to wetlands, reminiscent of the sight of squawking chicks-in-a-row at heronies in the world heritage site, Bharatpur. Indian National Trust for Art and Heritage (INTACH) had filed a case in the NGT for the conservation of Najafgarh jheel, though the lake is yet to be officially protected. 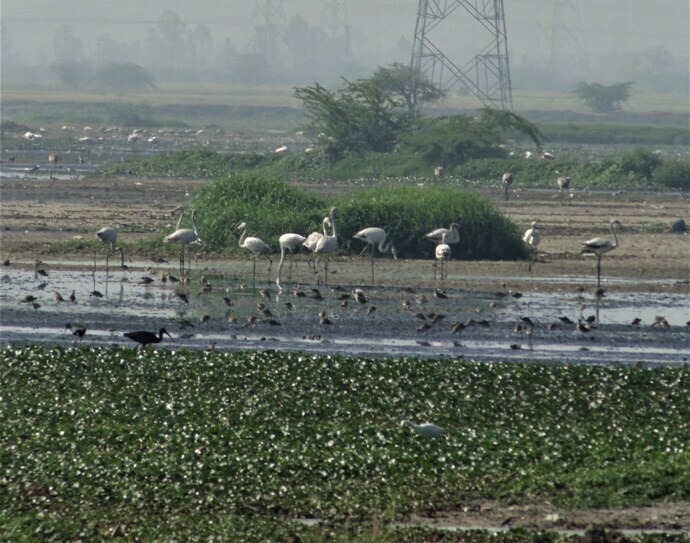 Birdwatchers and citizens have been rallying for the conservation of the area for years, even as flats in Gurgaon inch closer to the wetland, and have swallowed its basin. Finally, there is Basai. It is known in bird watching circles as Delhi-NCR’s finest wetland. It lies unassumingly in a corner of Gurgaon, shoved uncomfortably close to construction sites. This incredible site, hosting nearly 300 species, designated an “Important Bird Area” due to its avian wealth, is created by sewage water. But ecosystem processes sieve and save the water, creating not a filthy cesspool but a resounding arena of life. This is one of those rare places where you will find both the migratory goose in the water and the resident eagle in the sky; where you have a wet grassland merging into a wetland, creating a green-and-blue, grass-and-water mosaic one normally sees in far more “remote” or “wild” spaces. In less remote, urban spaces, which ironically jostle for both breath and water, wetlands often turn to wastelands, quite literally so. 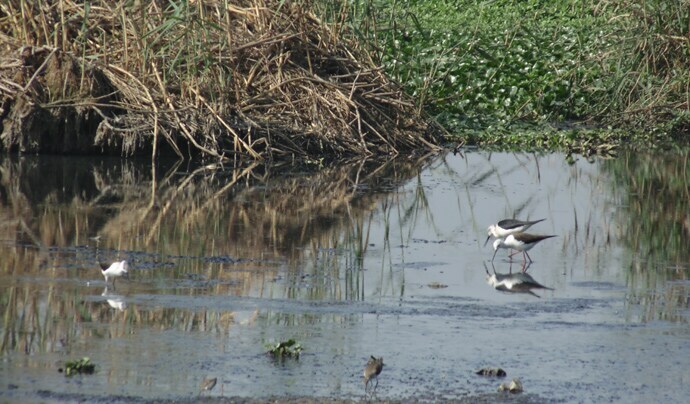 The Delhi Bird Foundation, helmed by avid birdwatchers, has approached the NGT against waste going into the wetland –a construction and demolition waste plant is coming up next to Basai wetlands. Fifteen-year-old birdwatcher and Delhi resident Maitreya Sukumar explains why: “It is a wetland home to many birds. It is a thriving ecosystem. It gets rare birds each year and should definitely be preserved,” he says. Maitreya’s mother is one of the petitioners in the case. All over the world, natural spaces in crowded cities are cherished as islands of succour. These are not just points, but “places”, which hold deep meaning for those who visit, an ongoing relationship of belonging between person and place. These places carry a sense of being old, timeless, and un-changing in the surrounding echelons of chaos and noise. New York’s Central Park is not famous because it is a park, but because it is in one of the world’s busiest, fastest-paced cities; the park itself is maintained more as a wilderness than a fully manicured area. The Nara Park in Japan holds several deer; the deer come out and stroll through the city of Nara, walking between people, an unsaid conversation between hooves and heels. Closer home, Sikkim has recently passed a unique legislation to increase fraternal bonds and personal relationships with trees, allowing a person to adopt a tree as a child: the Sikkim Forest Tree (Amity and Reverence) Rules 2017. Delhi’s own amity does not lie only in its buildings. Delhi’s geological and ecological history has shaped the names of its places, the quality of local life, and resilience — an ancient story of Nature’s survival in a harsh, polarised environment and environs. It would be imperative for India’s national capital to not forget where it came from.